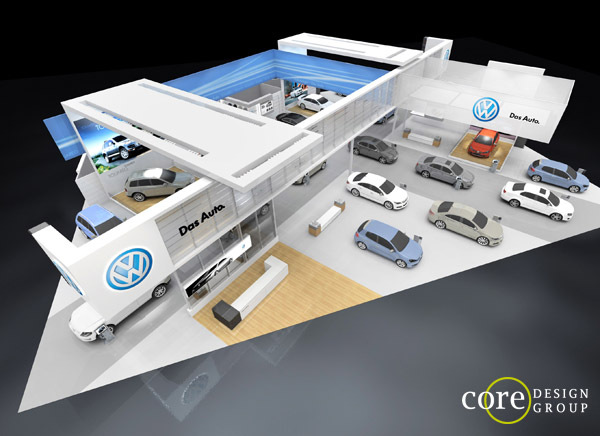 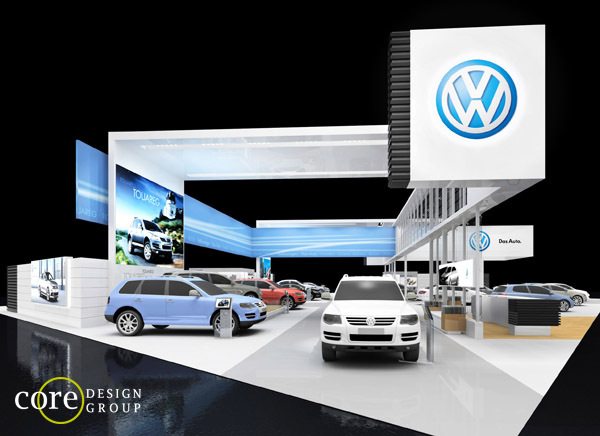 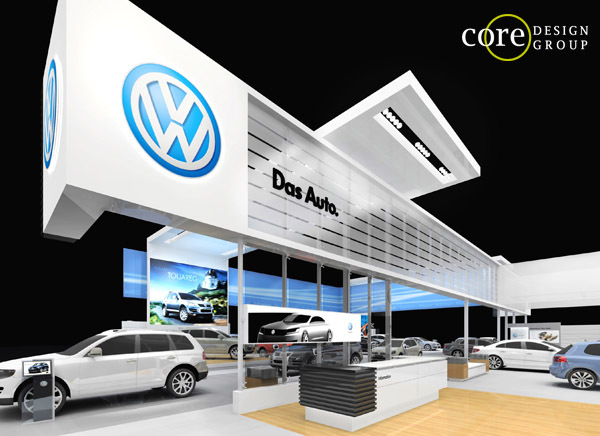 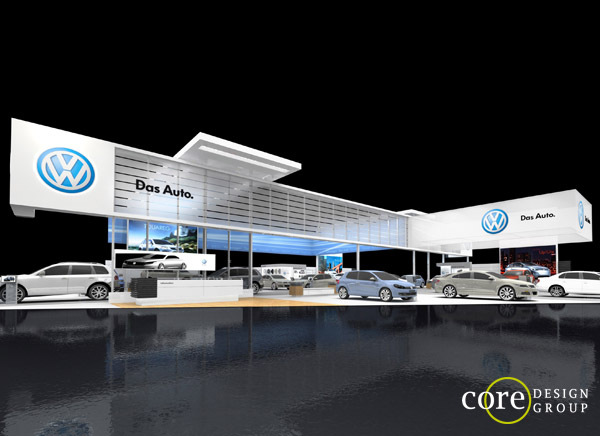 This is an auto show concept we developed for Volkswagen based on their 100′ x 112′ Island Exhibit. 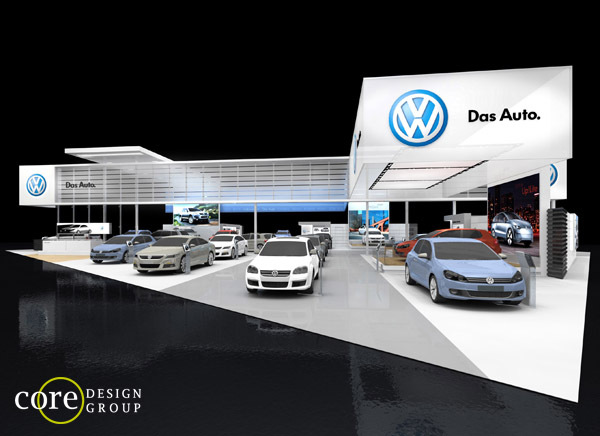 We kept the design true to the established brand characteristics of the famous automaker. 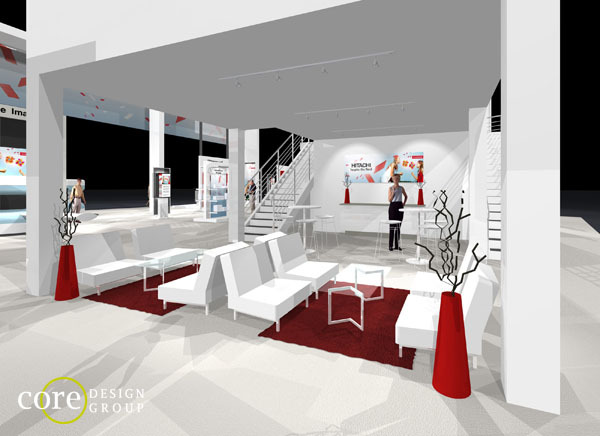 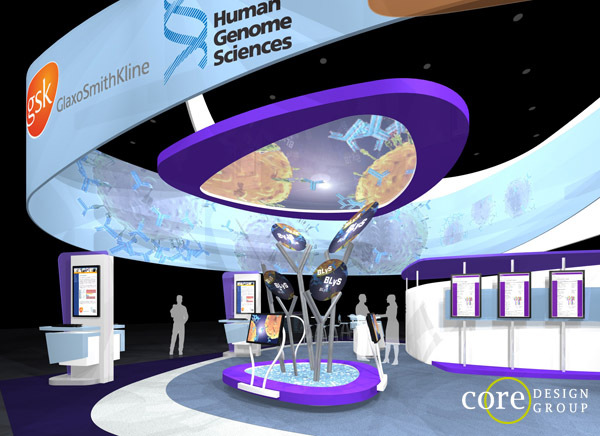 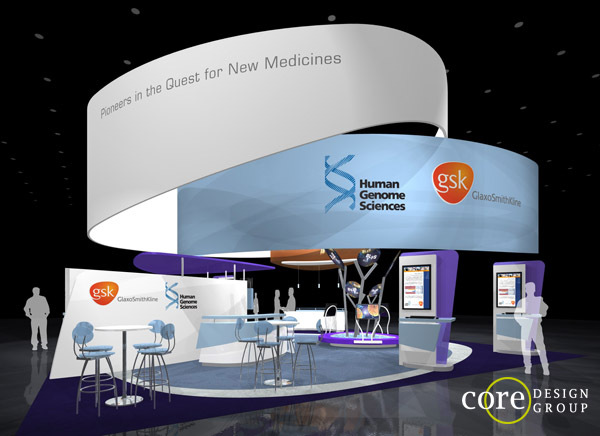 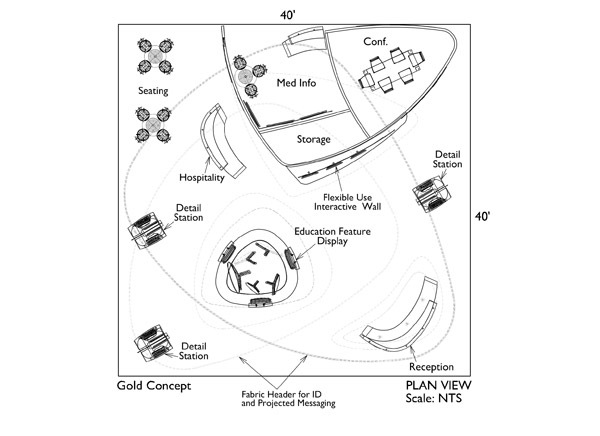 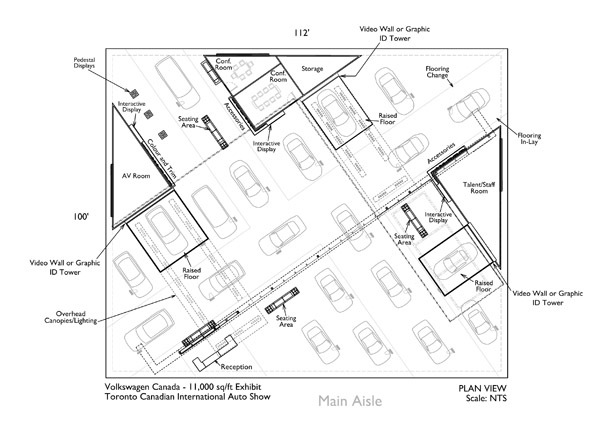 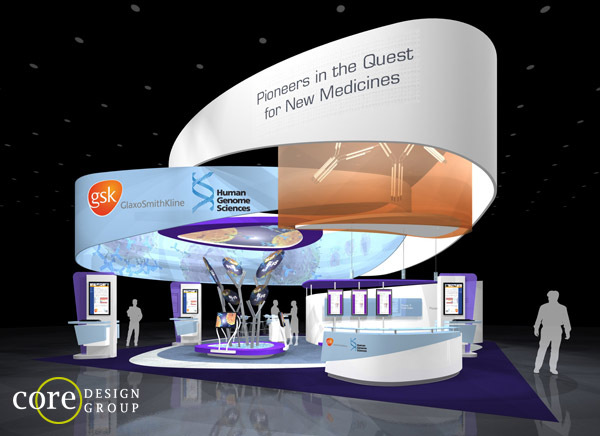 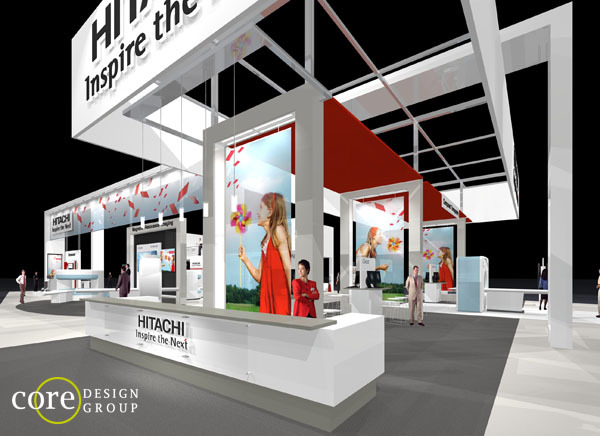 Our team developed this concept for HGS based on their 40′ x 40′ Island Exhibit. 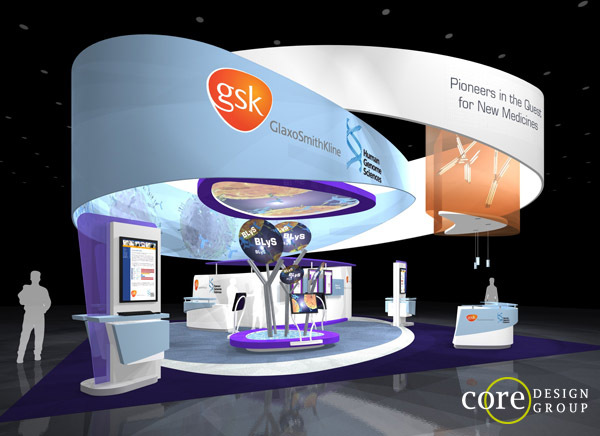 Material use and the application of eye catching color create a truly unique and unforgettable environment. 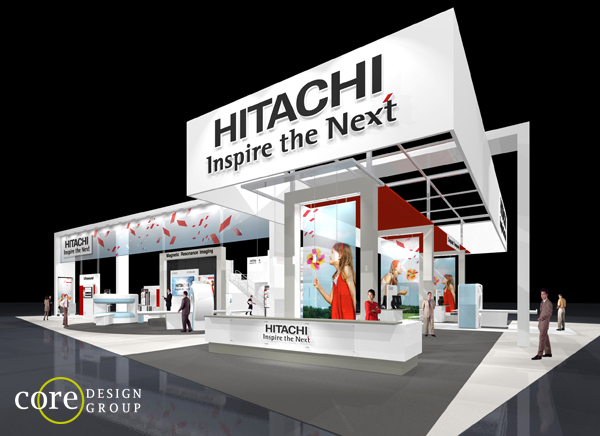 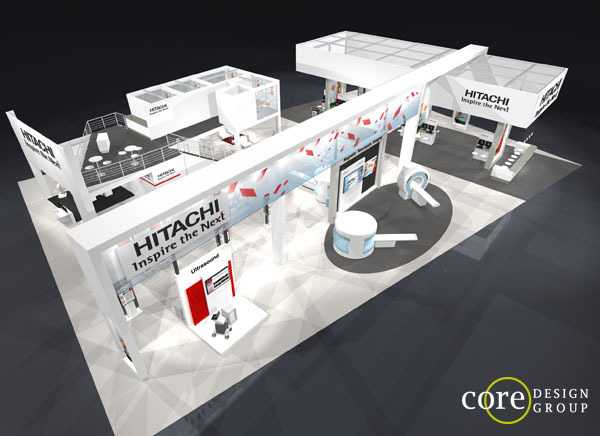 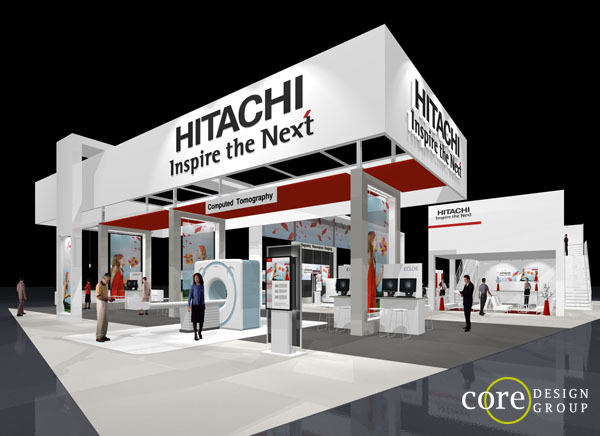 ﻿This was a concept we developed for Hitachi based on their 80′ x 120′ Island Exhibit. 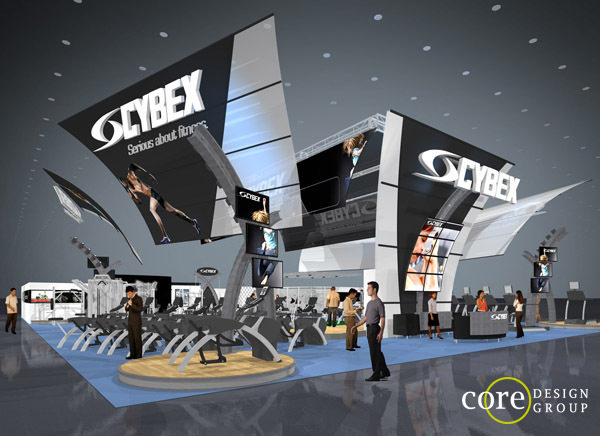 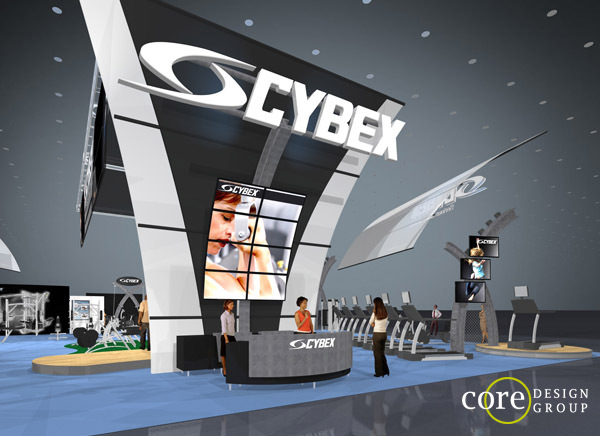 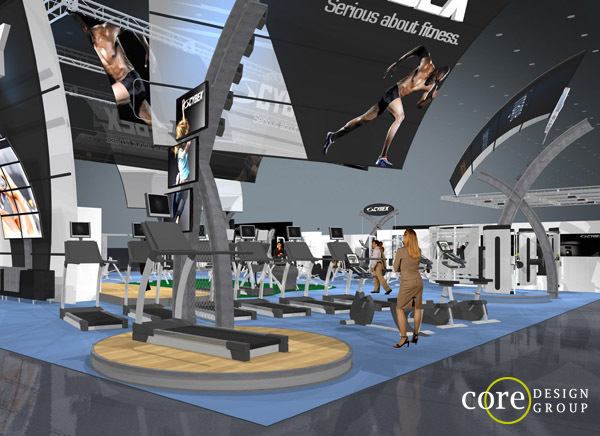 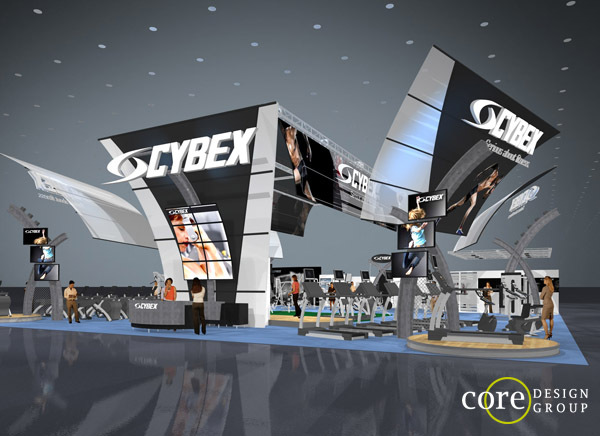 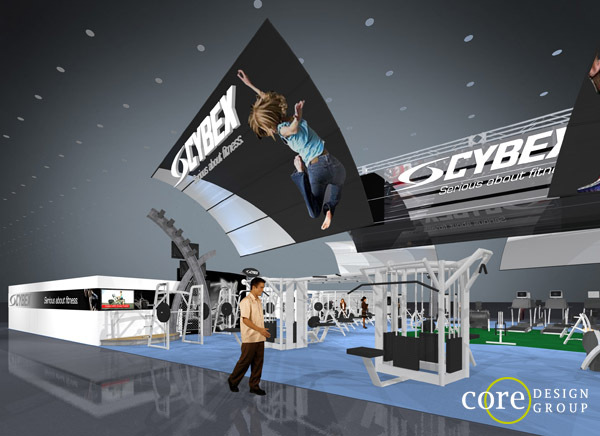 This 40′ x 40′ island exhibit design was created for Cybex. 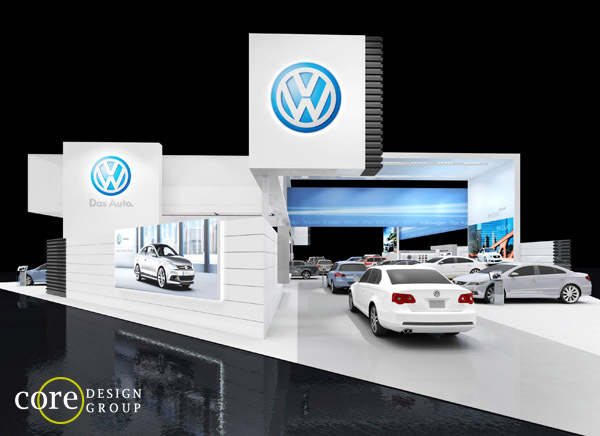 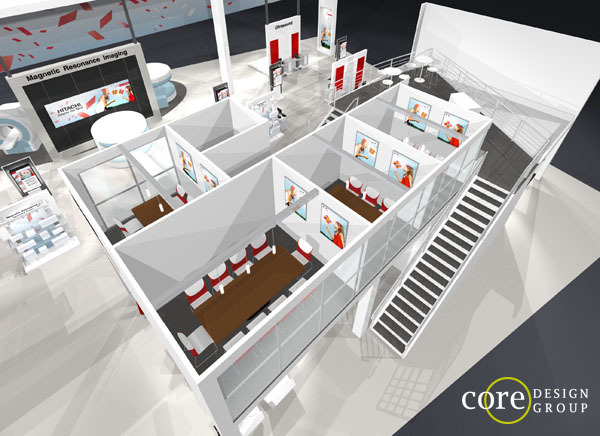 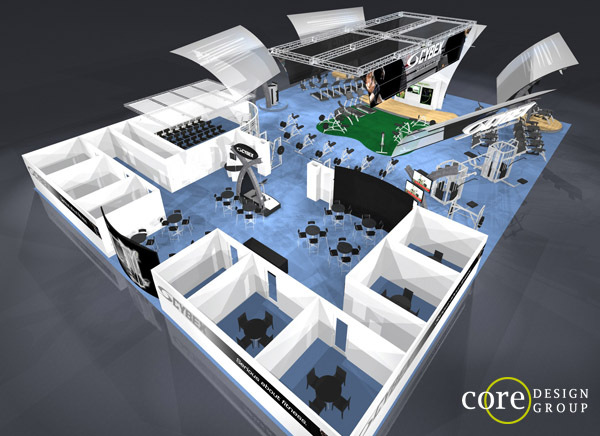 Our design team was faced with a challenge of designing a booth to match the “cool” of the products we would be showcasing. 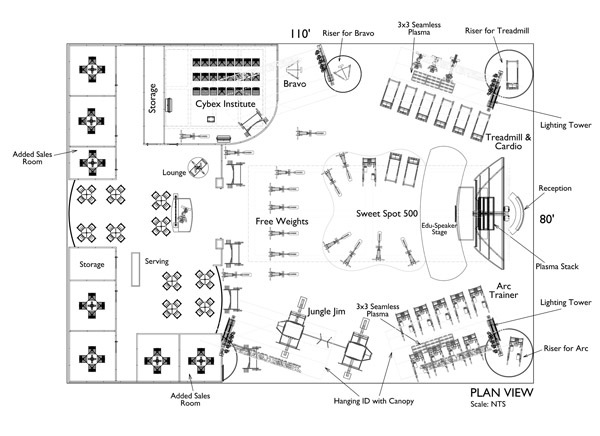 How Do You Design on a Budget?